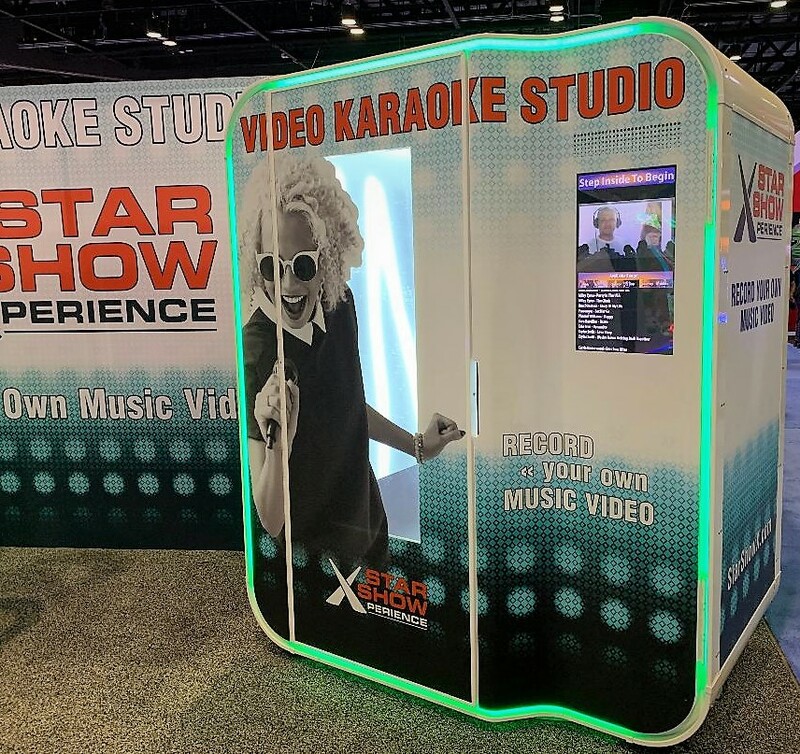 Our Karaoke Machine Rental makes everyone a star performer. 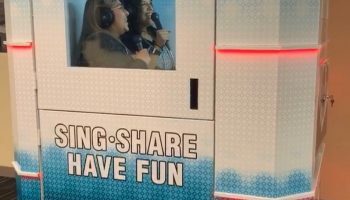 Step inside our unique video-recording booth, choose your favorite song from our library of hundreds of hit titles, put on your headphones and you and a friend can walk away with a recording of your hit song. Words come on the screen letting you know when to sing the words. Once the song is over you will be rated by the 3 virtual judges then you will have the option to share your creation through the internet. Sharing your song is easy by sending the song via text or email. 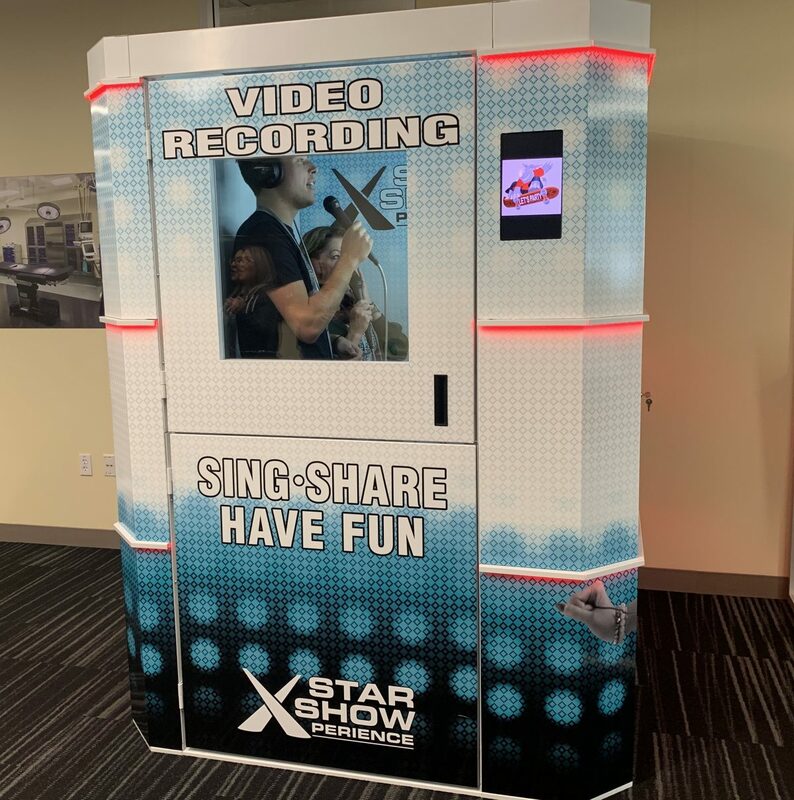 In our Karaoke Video Recording Booth everyone is a star when they step into our professional soundproof recording booth. Choose your favorite song from our library of hit titles. 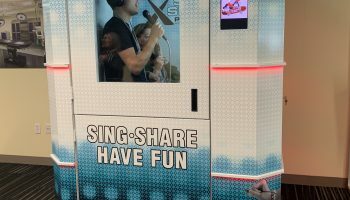 Inside, guests can listen to their chosen song through headphones. The studio includes all of the latest hits, as well as classics. Guests leave with recordings of their performance. 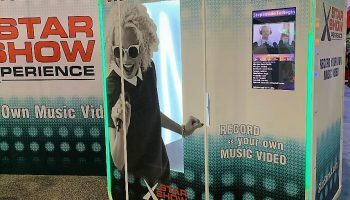 Professional sound equipment and the acoustic isolation booth will make you sound like the next big star from the voice. 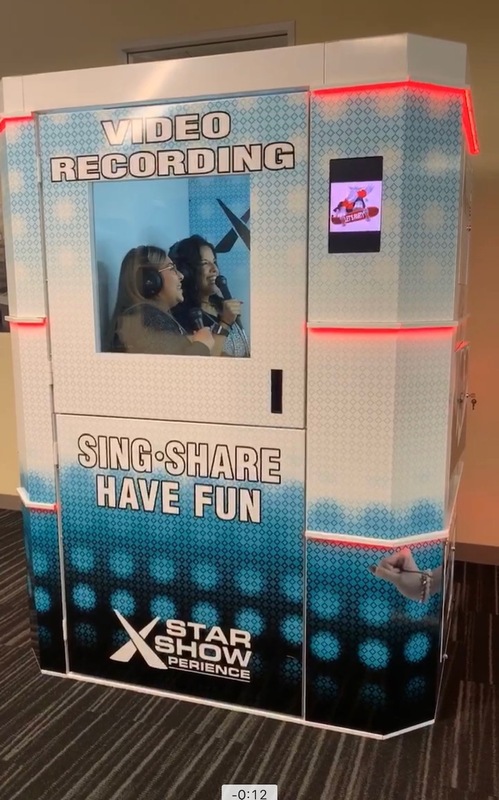 We will deliver and staff this Karaoke machine rental at your next event in the cities of San Francisco, San Jose, Palo Alto, Santa Clara, Mountain View, Oakland, Monterey, Santa Cruz, and all over the Northern California Bay Area. Price: Please call 888-630-3866 for info. Test your hand and eye cordination. Two future rock stars tap the lit light on there drum sets. 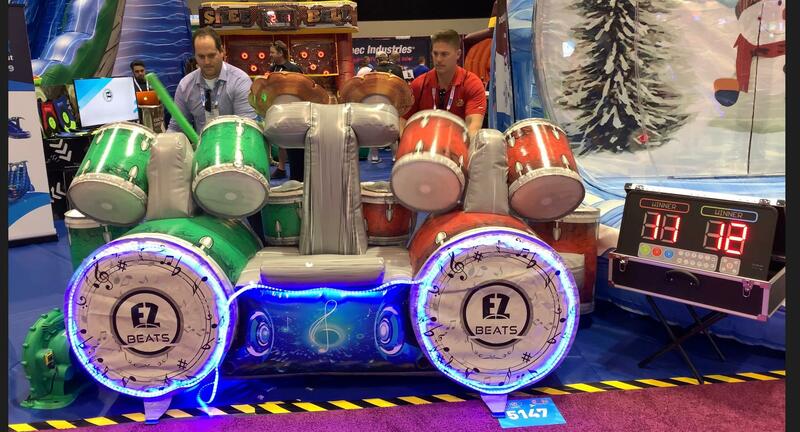 This inflatable drum set has high quality graphics and super vibrant colors. Are you the fastest drummer in the World? 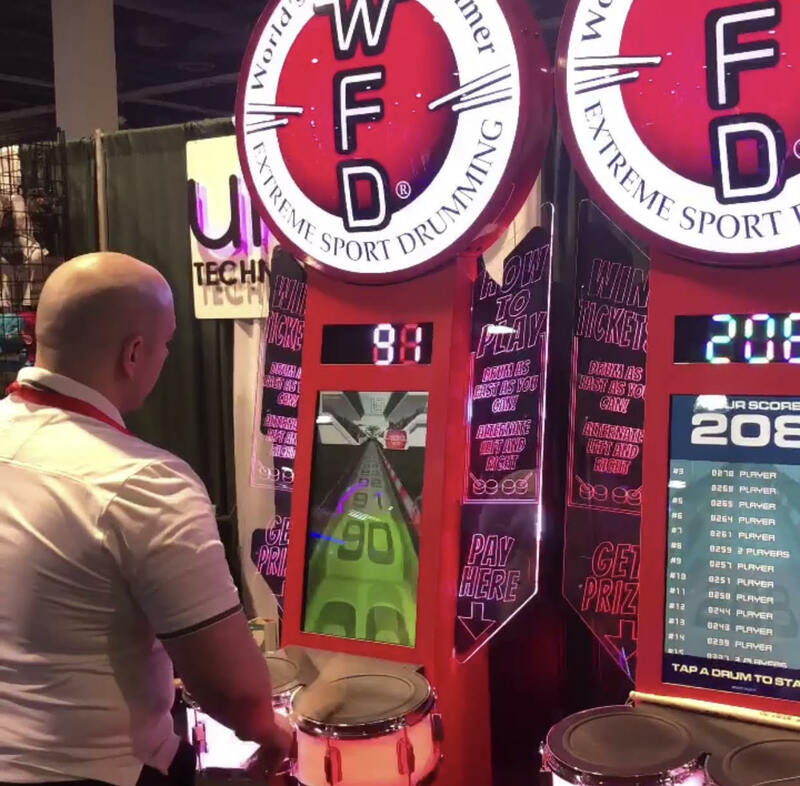 Find out with this innovative new World’s Fastest Drummer Arcade Game. This highly addictive game is like Whack A Mole on steroids. 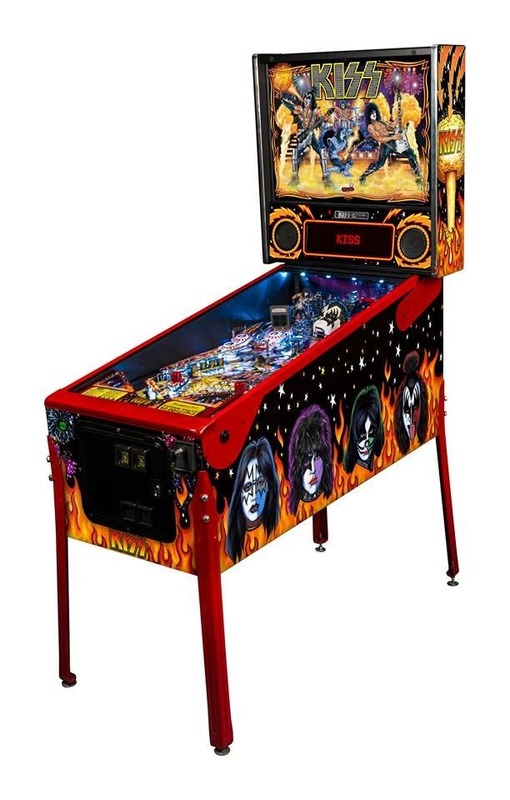 Kiss Pinball Machine features a lot of action from balls shooting out of the demons mouth (Gene Simmons) also this pinball game has a multiball function where up 6 pinballs come out for you to rack up the high score.